On Saturday 28 April, partners Kim Boreham and Eddie Look attended the Hong Kong Rugby Union’s Annual Awards Dinner. Held at the Conrad Hotel, the dinner was organised to celebrate the end of the rugby season. 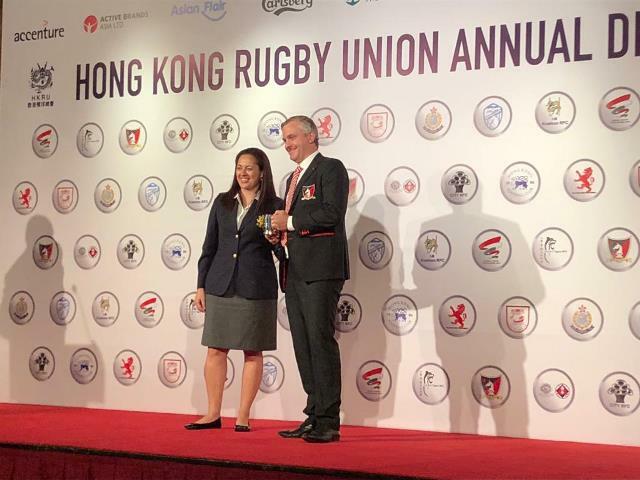 Local rugby is a cause that Tanner De Witt has supported for many years; we have been proud supporters of the Hong Kong Rugby Union’s domestic league referees since 2015. We were very pleased to see familiar faces from the Hong Kong Rugby Union and new players from all over the city. We hope that the rugby scene continues to develop in Hong Kong.